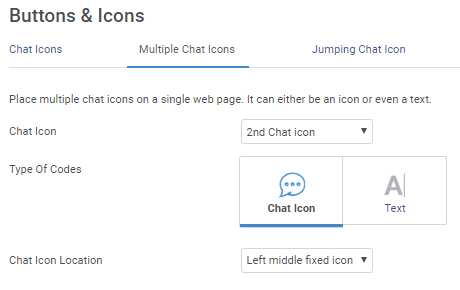 Jumping Chat Icons | How to place live chat bouncing icons on my website? 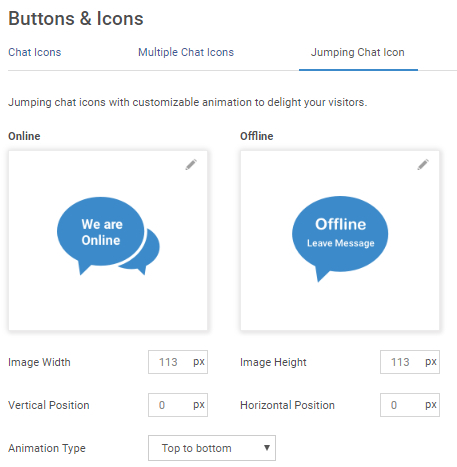 Customize chat icons to grab a visitor's attention instantly. You can place the icons anywhere on your website and customize them to match the layout of your web pages. Step 1: Navigate to "Settings" -----> "General" -----> "Buttons & Icons." Under the 'Chat Icons' tab click the 'edit' buttons to customize online and offline chat icons. You can also select to hide the chat icons when operators are offline. Step 2: Select an appropriate icon from the image library or upload one from your local drive. Click "Done" to save the changes. 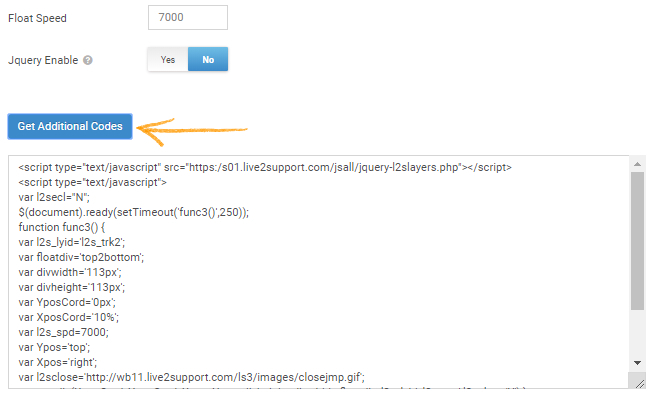 You can place multiple "live help" icon/text on different locations of your web page. Step 1: Customize the location and appearance of your second or third icon. 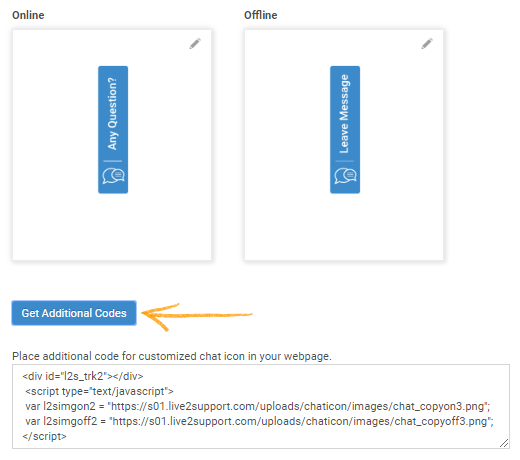 Step 2: Click to view the 'additional code,' copy the code and paste it before </body> tag in the webpage you want the additional icon to appear. 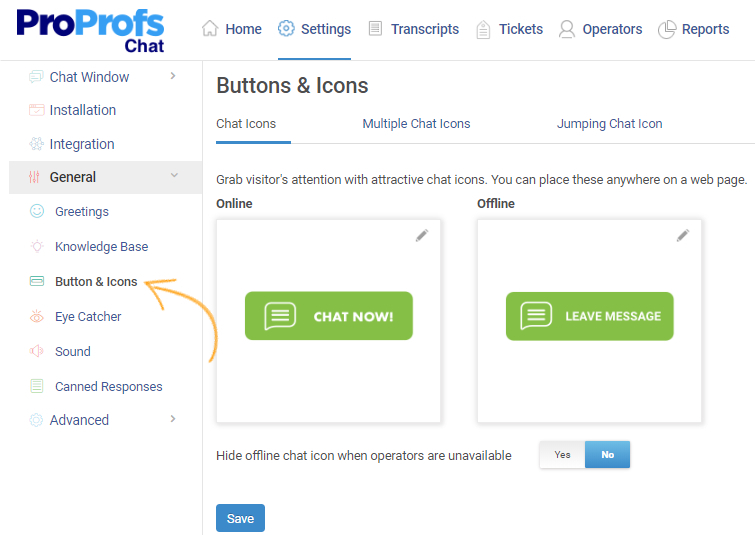 With ProProfs Chat, you can place jumping/bouncing icons on any of your web pages. 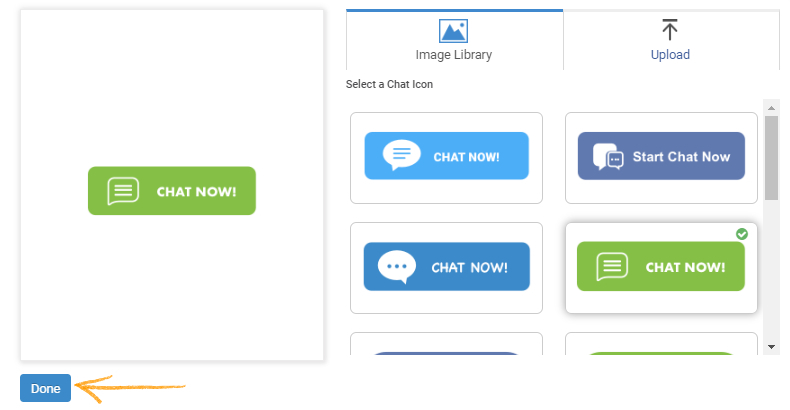 This helps you to draw the attention of visitors to initiate a chat. Step 1: Select the positioning, size, floating speed and other specifications. You can also upload icon images for offline and online mode. Step 4: Click to view the 'additional code,' copy the code and paste it before </body> tag in the webpage you want the jumping icon to appear.